Regular visitors to this blog will probably be aware of my fondness for the carolling tradition that continues to this day in the villages around Sheffield. A few weekends ago I made my first ever visit to a Sheffield carolling session – the Sunday lunchtime sing at the Royal Hotel in Dungworth. 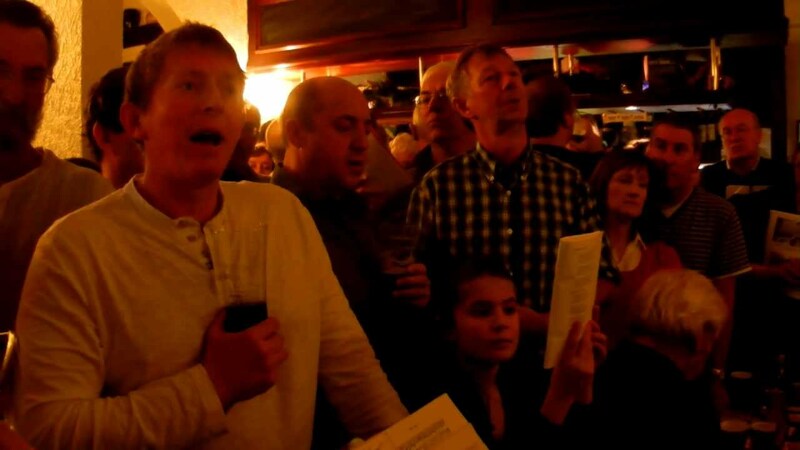 The pub was (literally) full to overflowing, the singing was lusty and joyful, and it felt so good to be able to join in old favourites like ‘Hark Hark What News’, ‘Jacob’s Well’ and ‘Diadem’ in their proper surroundings. So, my first visit, but definitely not my last. I’d previously heard this piece on the double CD The Theme, The Song, The Joy, which I reviewed for last year’s Folk Music Journal. The album contains recordings made over the years at the biennial Festival of Village Carols organised by Ian Russell, including a 2014 recording of ‘Stannington’ sung by carollers from the Royal Hotel, with Manny Grimsley taking the solo. To be honest the song hadn’t made much impression on me, but the day after going to Dungworth I found it was lodged in my head. So I dug out the words, worked out the chords, took it down a tone and worked out the chords again, and decided I’d try to get a decent recording made in time for Christmas. Give it another year and I might be more on top of it, but this is a blog, not a CD – spontaneity rather than perfection is the name of the game. Stannington being sung at the Royal Hotel, Dungworth. Happy Christmas one and all! Here’s to hope, and joy, and peace. I first came across this Wassail song in the Oxford Book of Carols in the 1970s – although, unlike the ‘Somerset Wassail’ it never actually became part of my repertoire. With a slightly different set of words the song was part of the Magpie Lane Christmas set from the very beginning, and we recorded it – with a different singer leading each verse – on our 1995 CD Wassail. 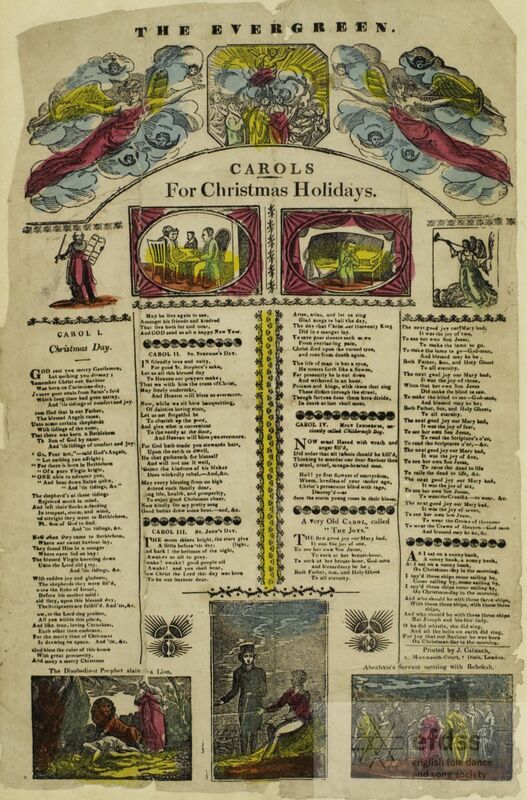 For this recording I’ve gone back to the version in the Oxford Book of Carols. The notes with the song tell us that the tune was collected by Vaughan Williams “from an old person in Gloucestershire”. Actually, it turns out that Vaughan Williams took it down in the inn at Pembridge in Herefordshire, in July or August 1909, from a singer whose name he did not record, but who presumably was a native of Gloucestershire. 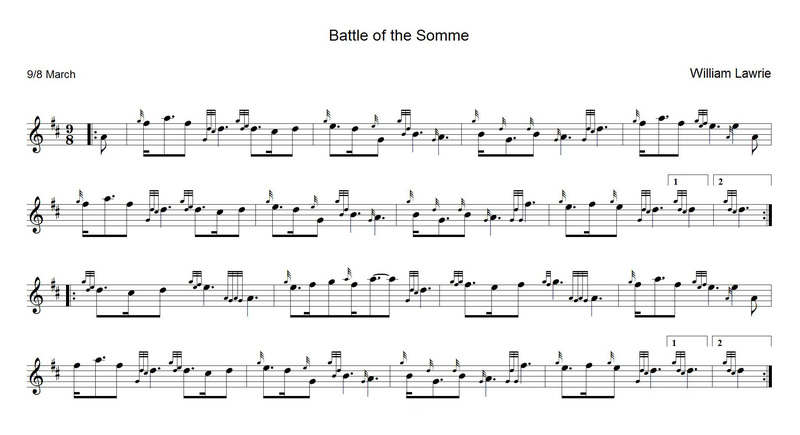 The words printed in the book were collated from other versions collected by Cecil Sharp and Vaughan Williams in Gloucestershire – from William Bayliss of Buckland and Isaac Bennett of Little Sodbury – as well as nineteenth century printed sources. Magpie Lane’s words are closer to those originally collected by RVW at the inn in Pembridge. 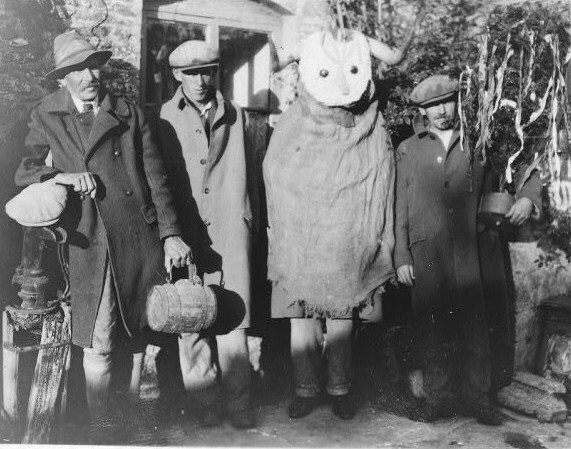 You can find several other Wassail songs collected in Gloucestershire on Gwilym Davies’ GlosTrad site; and can read much more about this song, and the tradition which it accompanied, on the Gloucestershire Christmas website. Janet Blunt collected several versions of ‘As I sat on a sunny bank’ / ‘I saw three ships’ in Adderbury. All used some variation on the well-known tune – apart from Sam Newman (a native of Wiltshire) who sang it to the tune of ‘Buffalo Girls’. This one was noted down from Clara Gillam, the parlour maid at Blunt’s home Halle Place, aka Adderbury Manor, and I learned it from the Blunt MSS via the Full English website. the Mediterranean journeyings of the supposed relics of the magi, the ‘Three Kings of Cologne’, the splendour of whose final voyage has remained vivid in European folk memory. The Empress Helena, mother of Constantine the Great and discoverer of the True Cross, carried them to Constantinople in the fourth century, from where they were later taken by St Eusthathius to Milan. In 1162 the skulls were gifted to Cologne Cathedral by Friedrich Barbarossa, and Bishop Renaldus brought them there, to rest in the jewelled caskets in which they remain to this day. As I Sat On A Sunny Bank, from the Lucy Broadwood Manuscript Collection, via the Full English archive. I like the idea of a Festival of Nine Lessons and Carols on Christmas Eve, but in practice I just can’t get on with a lot of the music – neither the arrangements, nor the way it’s sung. So while I prepare my stuffing, and giblet stock, and cranberry sauce, I’m far more likely to be listening to carolling from Sheffield or Padstow, or The Messiah, or Bach’s Christmas Oratorio. So here’s nine carols as an alternative. All have appeared on this blog over the last five years – except, bizarrely, ‘Foster’, which I always think I’ve posted before, but somehow never have. I hope they get you into whatever mood you’d like to be in as Christmas approaches. Now – is it time to put the sprouts on yet? After last week’s shipwreck, I thought the blog could do with a bit of Christmas cheer. And this is very jolly indeed. Like ‘Sweet Chiming Bells’ I learned it from the Oysterband’s John Jones, and it’s a carol sung in Meltham, the South Yorkshire village where John was brought up. 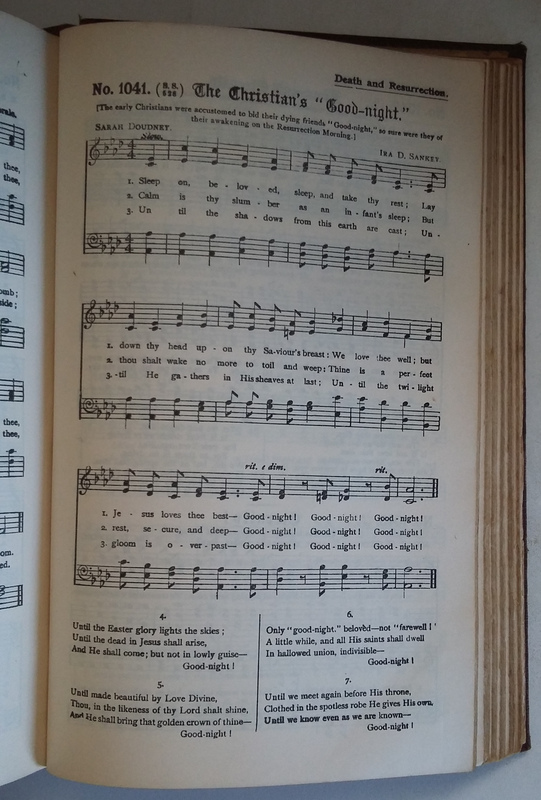 It was written by Fanny J. Crosby (1820-1915), an American hymn-writer who seems to have had more than her fair share of pseudonyms, and was published in Song Worship for Sunday Schools (1884). There it is credited solely to L.O.Emerson – not another of Crosby’s noms-de-plume, but joint editor of the collection. I assume it was he who set Miss Crosby’s text to music. John Jones used to sing just the first and last verses, but having discovered a couple more online, I thought I’d include them all here – I rather like the rose of Sharon verse. The song was very nearly featured on the Magpie Lane album Wassail. We recorded it, but it was cut from the final mix – there was a rather fancy a cappella section which, the lead and harmony vocals having been recorded at separate recording sessions, didn’t quite hang together. Having recently listened back to that outtake, however, there’s a possibility we might revive it next year. Although I’ve usually referred to the song as ‘Ring, Merry Bells’ I believe it’s known as ‘Morning Star’ in Meltham, and that title prompted the inclusion of the Bledington morris tune ‘Morning Star’ in this arrangement. A telegram received at Folkestone from Cromer leaves little doubt as to the fate of the brig Woodside, of Folkestone, one of her boats having been picked up. The Woodside left Sunderland on Dec. 20, and has not been heard of. She carried a crew of eight, and was bringing home a Dover sailor who had been discharged from Sunderland Hospital after illness. Traditional singers, especially gypsies, would often end a song by saying “and that’s a true story”, but this one really is. It tells in five simple verses of the shipwreck of the brig the Woodside, returning home from Sunderland to Folkestone, which, like a number of other ships, foundered in the terrible storm of 22nd December 1894. Just before Christmas 1894 the whole of the North of England was battered by a very severe gale. Commentators stated that nothing had been seen like it for over 40 years and it left a trail of death and destruction in its wake. It started around midnight on the morning of Saturday 22nd December 1894 and gradually increased in strength. The speed of the winds became so strong that they started to cause structural damage. In Leeds the chimney of Messrs. Richard Bailes & Co, Chemical Works at Woodhouse Carr was blown down onto the adjoining house on Speedwell Street. At the time a mother and her six children occupied the house, one of whom was sadly killed. Reports from Liverpool to Whitby reported similar tragedies with many people crushed or hit by falling buildings. Two trams were blown clean off the rails in Leeds and many shop windows were blown in. In Pudsey a workman narrowly escaped death when the chimney of the factory he was working in came down. Chaos was caused to communications when, starting at midnight, one by one, the 20 telegraph wires linking Leeds with London started to fail. By 1:30 am they were all gone, there was also no communications between Leeds and Derby, Birmingham, Bristol and whole of the west of England, most other places in the north of England were also affected. The telegraph office issued a notice that all messages would only be taken at the sender’s risk. THE LOSS OF THE WOODSIDE COLLIER. There is now unhappily no doubt that this vessel foundered in the recent disastrous gale in the North Sea on Saturday, December the 22nd, and that the crew were drowned. No particulars of the disaster will ever be known. Her crew consisted of six men and a boy. 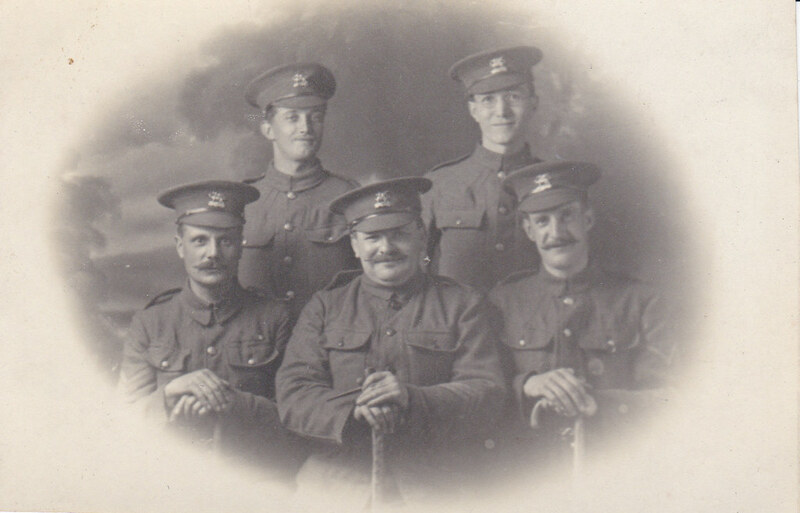 Their names were Henry Milton, of Fenchurch street, master, who leaves behind a widow and family, the youngest child being about 12; Jesse Wooderson, mate, widow and three young children; Benjamin Cotterell, ordinary seaman, recently married; John McKay, able seaman, single; William Baker, able seaman, single; and Charles Woollett, boy. There was also on board a man named James Batchelor, supposed to belong to Whitstable, who had broken his leg, and the captain was giving a passage to Folkestone. We understand arrangements are being made to raise a fund for the benefit of the widows. It seems likely that this song was locally composed as part of, or to draw attention to, those fund-raising efforts. 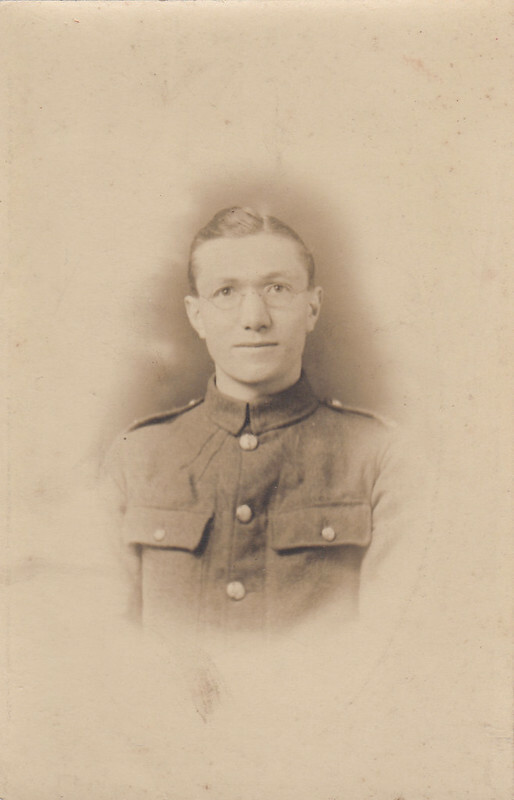 It has been collected only once, from the brothers John and Ernest ‘Ted’ Lancefield, of Aldington in Kent. They were employed as gardeners at Goldenhurst, Noel Coward’s country home. Francis Collinson, who noted the song down in June 1942, would have moved in the same circles as Coward – both were involved in musical theatre – so it is no surprise that he should have visited Goldenhurst; he might even have been invited over specifically to meet the musical Lancefield brothers. 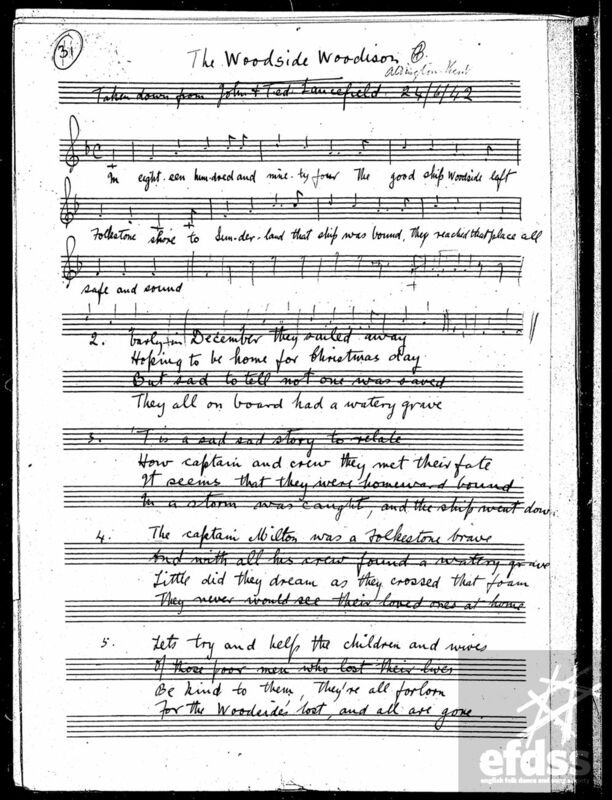 In Collinson’s MS the song is headed ‘The Woodside Woodison’. The second word in this title always puzzled me but, looking at the list of victims above, I see that Jesse Wooderson was mate of the Woodside. Aldington is not far from Folkestone where the Woodside was based, so the Lancefields may well have known members of the Wooderson family. I’m not sure how old Ted Lancefield was when he died in 1954, but it’s not inconceivable that he knew Jesse Wooderson himself. ‘The Woodside Woodison’ as collected from John & Ted Lancefield, June 1942. From the Francis Collinson MSS via the Full English. I recorded this previously, with Pete Castle on guitar, on the compilation Apples, Cherries, Hops and Women. I first heard this circa 1977, as the conclusion to Shirley and Dolly Collins’ magnificent Anthems in Eden Suite. I’ve always liked the song, but it had not occurred to me to learn it until a year or so ago. With Whitsun approaching, a few weeks back I thought I’d better get on with it. Having been so familiar with the song for so long, I was surprised to find that I had to apply quite some effort to get the words into my head. But here it is, and I’m really glad I made the effort – it really is a good song. 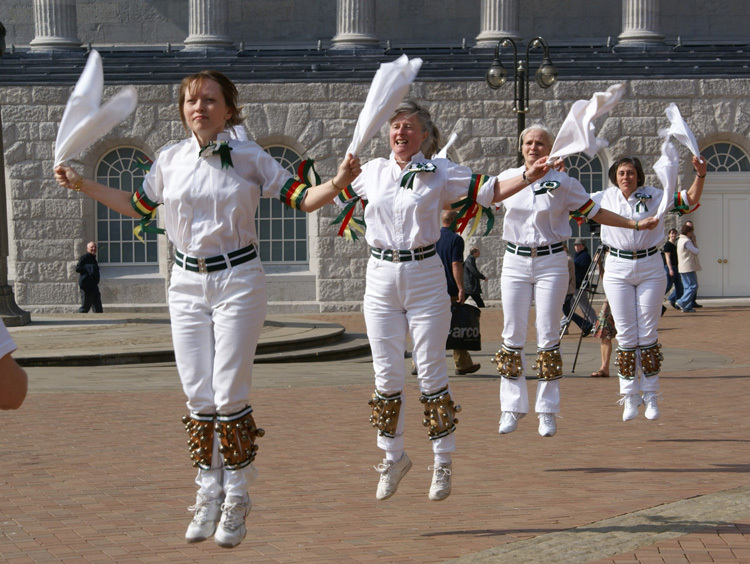 Many of the old ladies who swell the membership lists of Country Dance Societies are 1914/18 war widows, or ladies who have lost fiancés and lovers. Country dancing kept the memory of their young men alive. When Shirley Collins started singing the piece to the tune of The False Bride, the impact was disturbing, for many people in audiences identified with it. Tears were frequent. Now a sharp relevance in contemporary song is one thing but such a pessimistic effect was not what was intended. So when Shirley recorded the song we showed the way the spirit of the generation sacrificed in the mud of France had been caught and brought to life by the new generation born since World War II by concluding with the chorus of the Staines Morris. 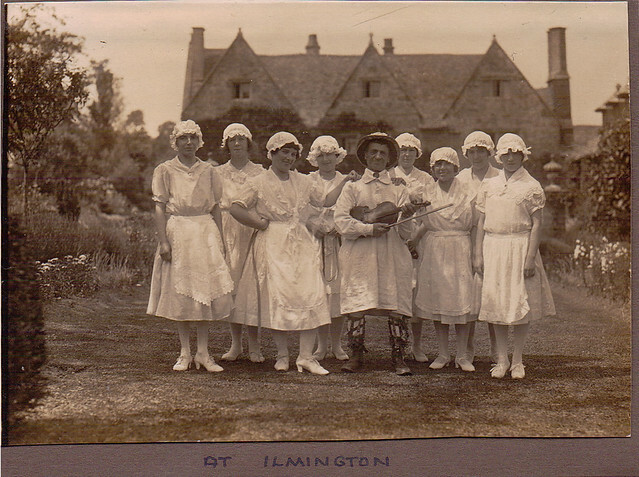 Dancers at Ilmington, with fiddler Sam Bennett. 1920s? 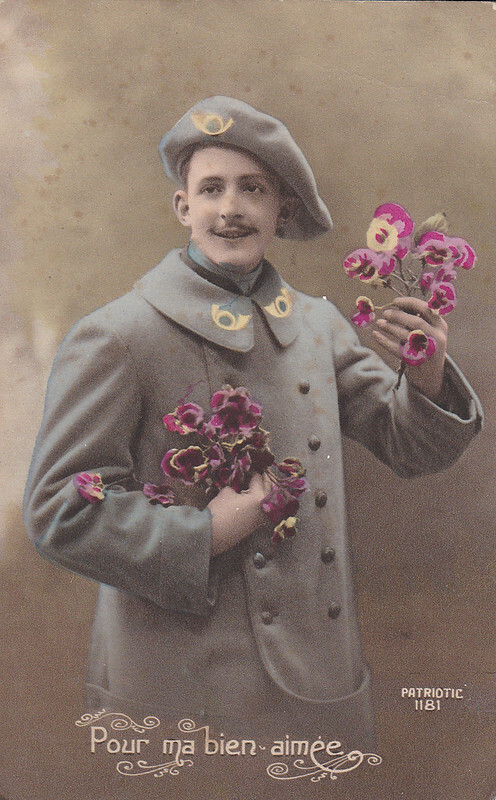 From the Bob and Jean Turner postcard collection. I suppose there probably weren’t many women’s morris teams in the sixties when Austin John Marshall wrote these words, but by the time I got involved in the folk scene in the late 1970s they were very much in evidence, and I’ve always associated the ladies dancing at Whitsun with morris rather than country dance. 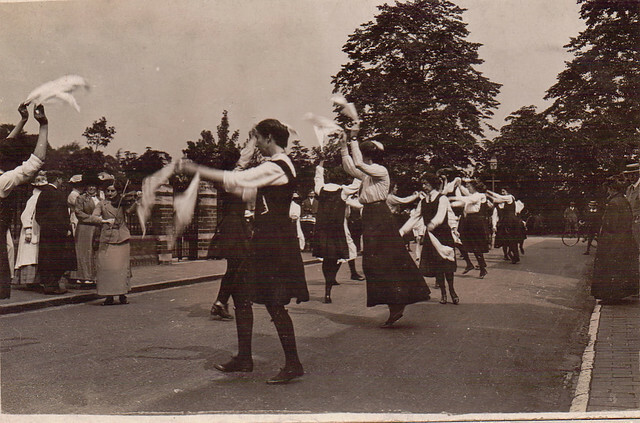 There will be many out dancing this Whitsun weekend, so here’s to the Esperance, and these unknown (to me) women dancing at Stratford-upon-Avon in 1912, and morris teams such as Windsor and Oyster, who started in the 1970s and are still going strong. Morris dancers at Stratford-upon-Avon, 1912. 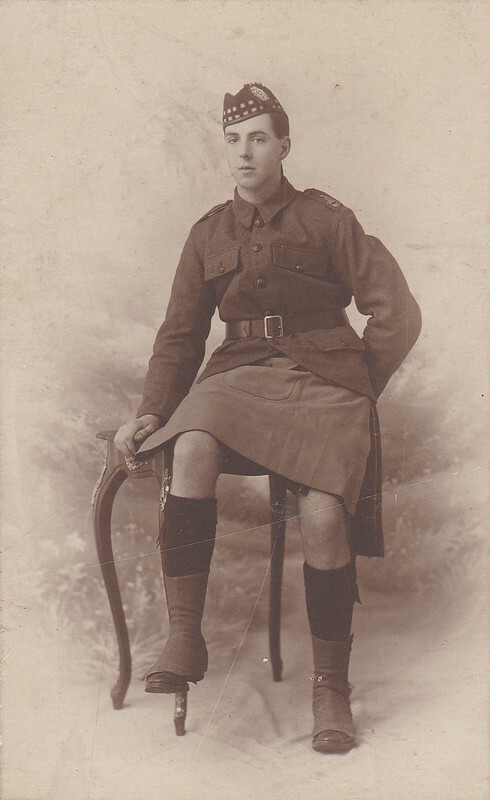 From the Bob and Jean Turner postcard collection. P.S. I do realise that Whit Sunday was actually two weeks ago, but Bampton still refer to their annual day of dance as Whit Monday, and that’s good enough for me. I learned this from Caroline Jackson-Houlston. She and I used to sing it together – performing as Flash Company – in the early 1980s, and it’s one of several songs from that period which she and I both retain in our individual repertoires. Mind you, Caroline has always made quite clear what her reaction would be, if a suitor buggered off for a year then came back claiming “you’re the one I really want” – and it wouldn’t be to drag him off to church. I still have Caroline’s typed copy of the words. 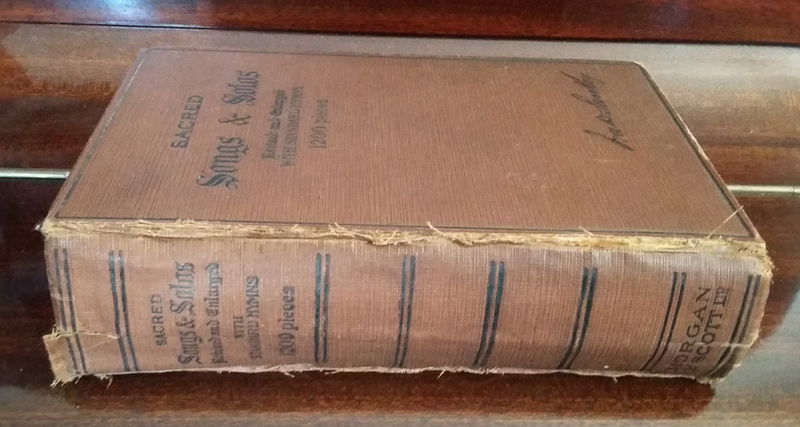 Unusually, they don’t give her source, but looking at the Full English it must be this version from the 85 year old William Winter, collected at Andover by H. Balfour Gardiner, and which forms the basis of the version printed in Frank Purslow’s The Wanton Seed.